Hundisburg Castle was first mentioned in 1140. In the Middle Ages it was the frontier post of the archbishop of Magdeburg. In the 16th century it was reconstructed to a Renaissance castle. 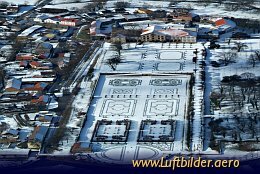 Today it is the most important Baroque Castle of Saxony-Anhalt.